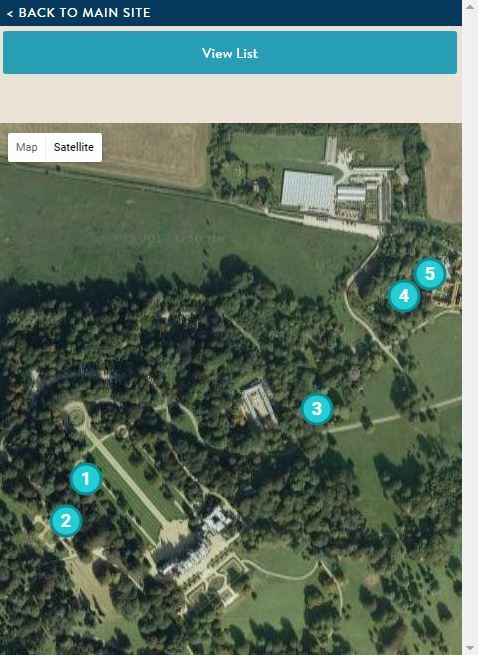 Whether visiting in person or remotely you can now take an online walk around Waddesdon with our first interactive trail. Developed to sit directly on our recently launched WordPress website you need no app or download to access this content – just a computer, smart phone or tablet and access to the internet. This new digital feature allows you to select a map or list as a starting point to explore the grounds and gardens with the familiar Google map or satellite view to help you navigate. 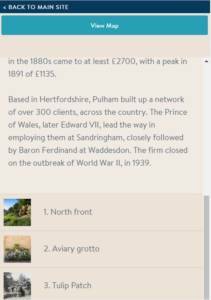 Never heard of Pulham rockwork? Try this out for yourself. 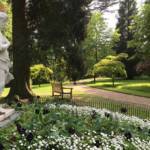 The firm of Pulham was employed by Baron Ferdinand to create landscaped banks with rocky outcrops in the magnificent gardens at Waddesdon. This new illustrated interpretative trail shows you where to encounter Pulham rockwork as you stroll around the North front and Tulip Patch. Look out for the picture of his goats! Pulham is such a striking feature of Waddesdon that we really wanted to share it with everyone whether exploring on site or sat at a computer at home. 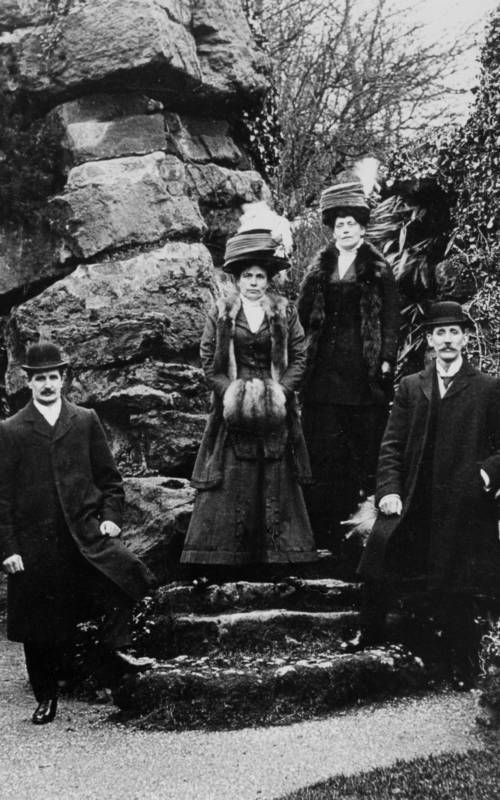 In Ferdinand’s time his visitors loved seeing the Pulham rockwork (although these people photographed at the Dairy water garden in 1890 are hiding their smiles), so we hope that you will enjoy our first online trail. We’d love to hear what you think about it too, please complete the short survey when you’ve used the online trail. Visitors on Pulham rockwork in the Dairy water garden, c. 1890. 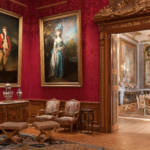 © National Trust, Waddesdon Manor.